Touring cities and towns ultimately leads to the uncovering of unique and interesting findings. 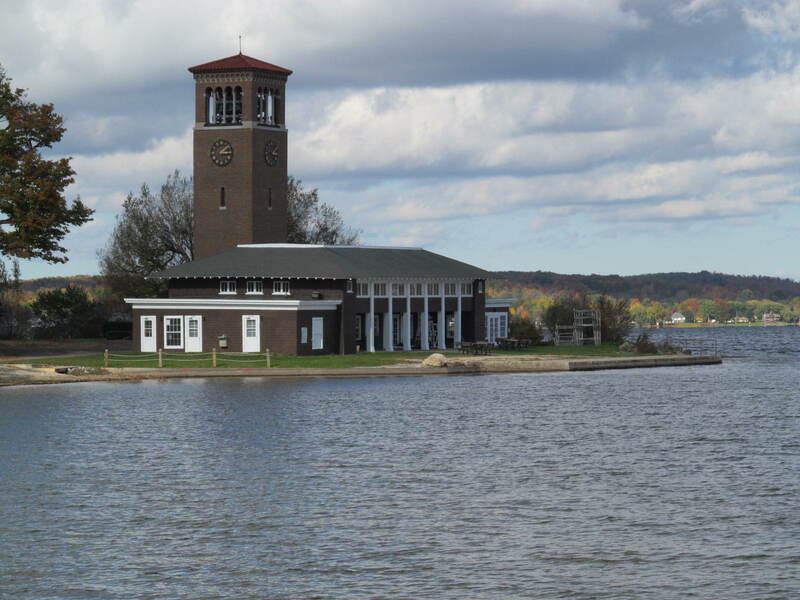 A week ago, I visited a very interesting small “town” in western New York State, the Chautauqua Institution. I was asked to present and participate in a conference on urban issues facing cities of the American Great Lakes Region (what I like to call The Lake Belt) for the New York Chapter of the Congress for the New Urbanism. In previous travels, I have been to many nearby cities but have not had the pleasure to visit the Chautauqua area. It is a beautifully hilly region with many farms and grape orchards (an extension of the well-established Niagara Wine Region) as well as lakes and streams, especially terrific during the peak of the autumn leaf transition. Discovering the unique environment that is the Chautauqua Institution was a pleasant experience and brought to mind ideas about the creation of the American city and what town planning is about. Placemaking is a common term in the current urban development lexicon, and creating places for people is a goal of many communities, whether they have one to enhance or are working to establish one from very little. The elements needed to create place are a common topic of discussion and are often different from town to town, but you will likely know it when you see it – it is usually an environment that feels comfortable to the pedestrian. Chautauqua is clearly a “place”, unique with its village-like atmosphere, where the important components of a place built for people are exposed and evident. The essence of the community is present throughout, as the natural characteristics and built environment integrate in an ensemble that is like a well produced symphonic performance. 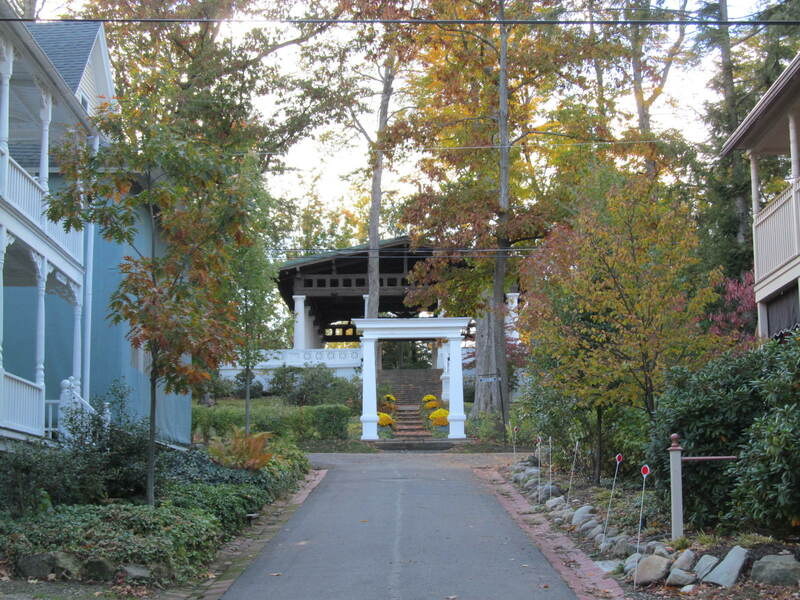 Chautauqua reminds us of the traditional elements of a place, a town, a community. 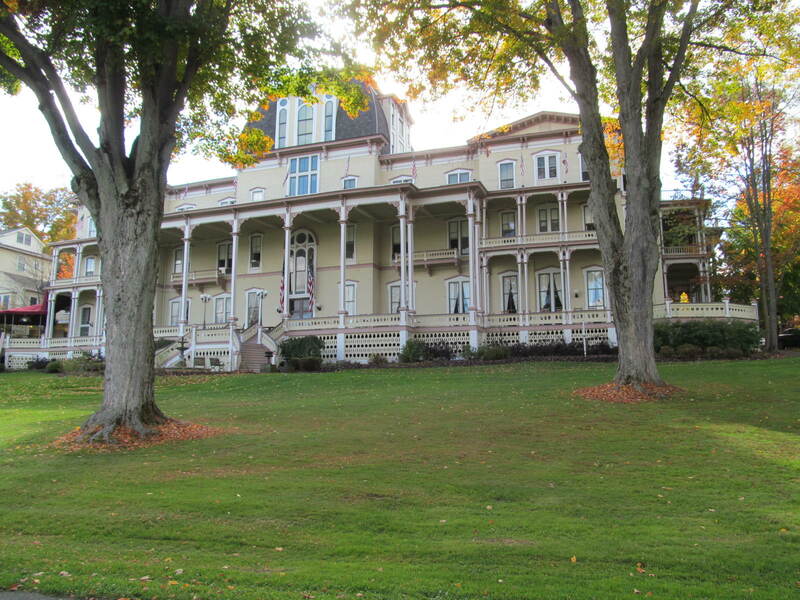 Founded in 1874 by Lewis Miller and John Heyl Vincent, Chautauqua was created as an “educational experiment”, that incorporated the arts, education, religion and recreation. 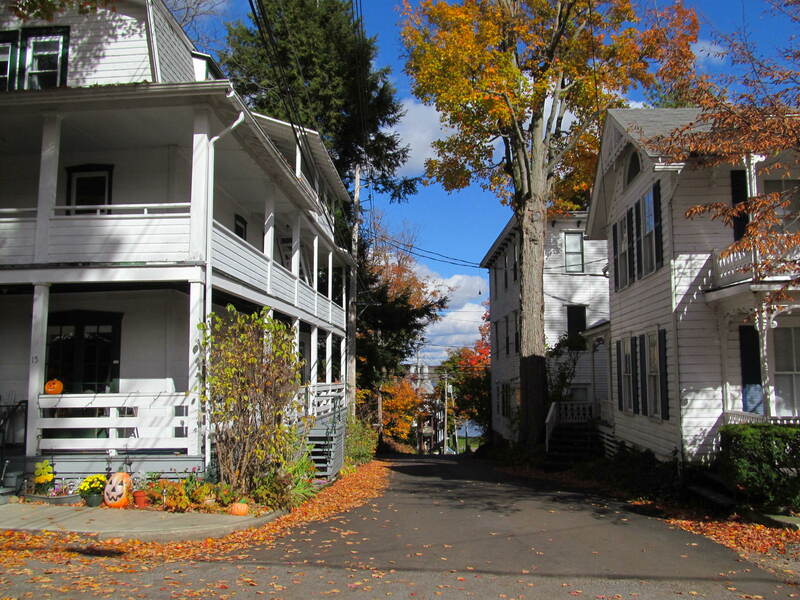 This “experiment” has evolved, over its 138 years, to become, essentially like a small village that recalls the founding aspects of the traditional American town. These characteristics of the place are evidently traditional, but they function perfectly well for our contemporary age. Notable elements include a clear emphasis on the pedestrian and not the automobile. The narrow streets and slow and minimal vehicular traffic gives comfort to the walker. 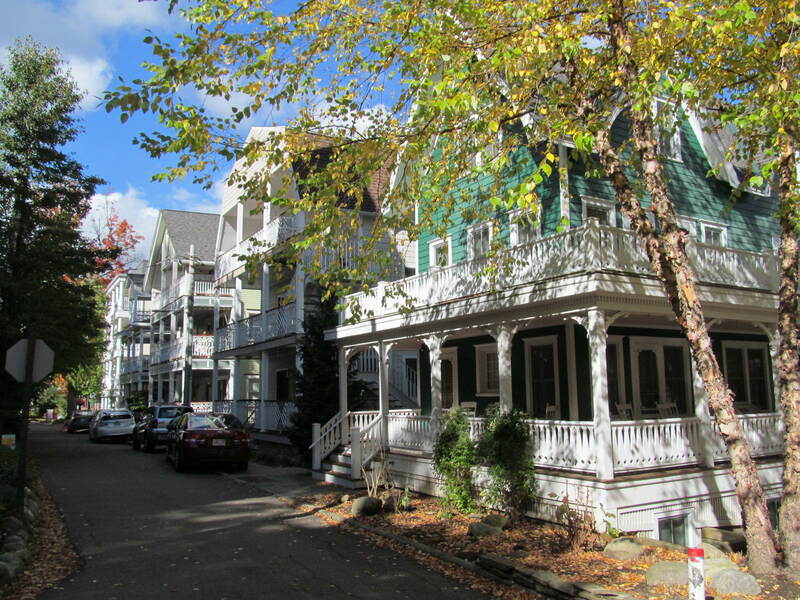 This is assisted by the residential structures that are built to the street side and embrace it with front doors, porches and steps right to the curb (or edge of the paving). 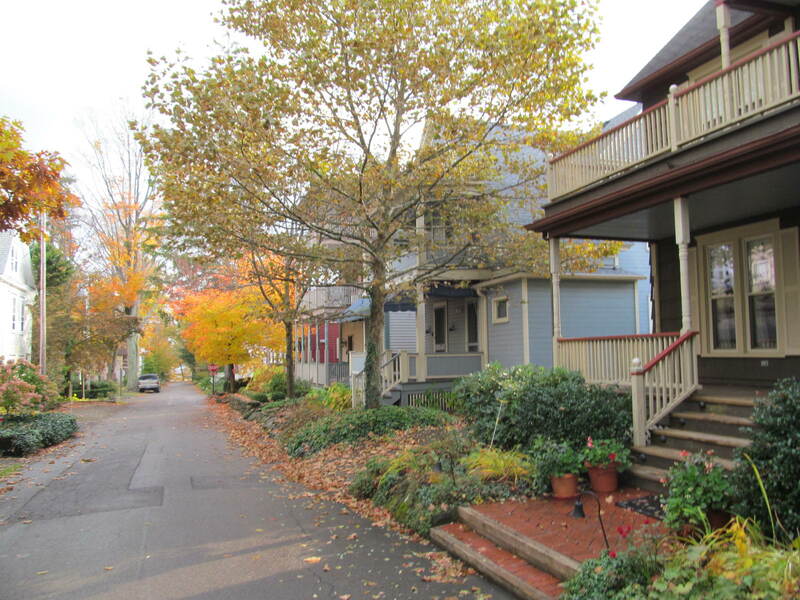 The street is so calm and integrated with the houses, that sidewalks are not necessary. It is as if the paving is for people and the cars are allowed on occasion, not the other way around. In Chautauqua, the pedestrian is obviously king. The residential structures fill in the areas around the civic buildings, many of which are clearly focused on the educational, religious and arts orientation of the overall community. There is a hierarchy of civic and supportive structures, where the more significant buildings, both public and private, are differentiated by size and placement that defines their place in the community. For example, one of the largest structures is the famous Atheneum Hotel, which is prominent in importance, a center of activity for locals and visitors and is placed in a noteworthy location on the lakefront, as an icon for the community. 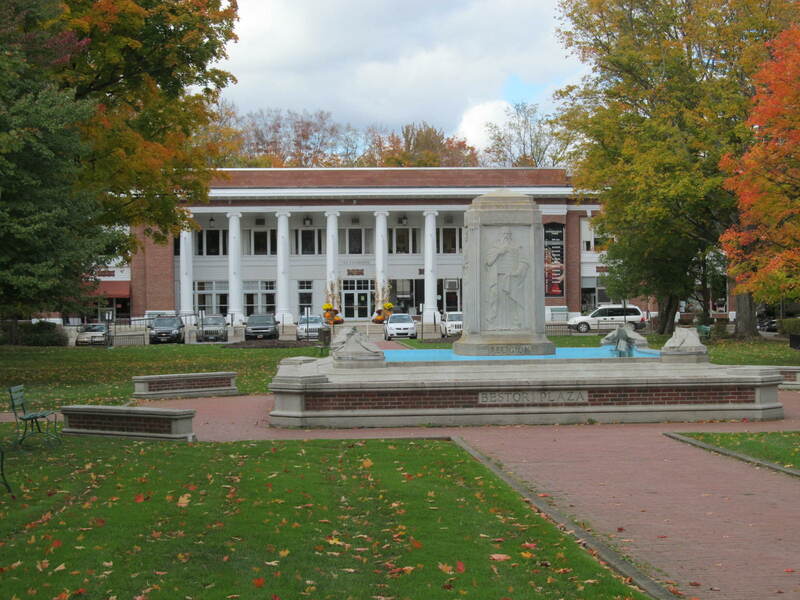 The center of Chautauqua is the civic center and public green space – Bestor Plaza. The presence of this place is well established by the axial relationships of the town administration building, the Post Office building and the library all of which surround and are aligned to a central fountain that is embellished with the words that represent the community’s founding focus – “Art, Music, Religion and Knowledge”. These significant buildings, some of which incorporate retail and café spaces, along with a few religious structures and the main amphitheater for large events, provide the collection of elements that make an all-encompassing communal experience. 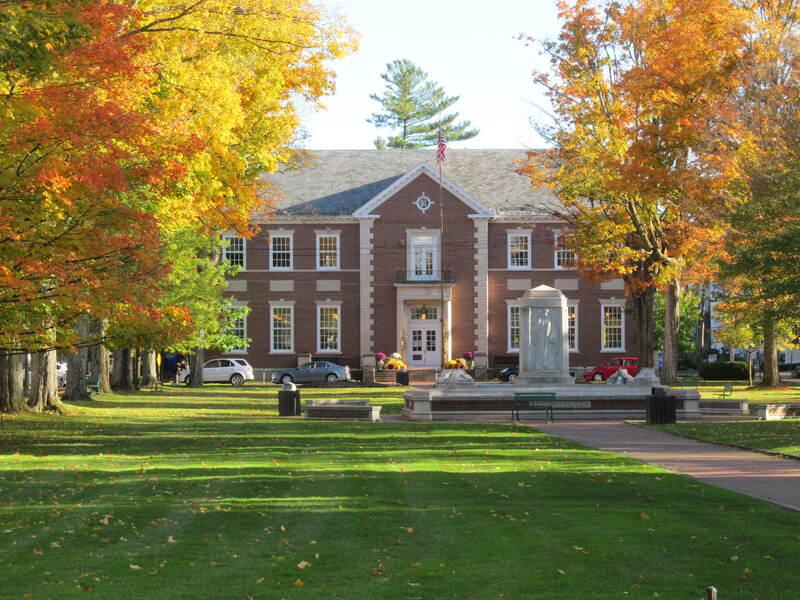 Understandably, Chautauqua is a different type of place and was founded in an unconventional manner than most small towns in America, but the physical conditions and elements are typical of the traditional small town or city. This type of hierarchy, although specifically unique here, is often non-existent in recently developed cities and towns throughout the continent. Priorities have changed and these town planning principals have devolved with the emphasis on auto-orientation and developer driven projects. Another community planning idea that is worth noting here in Chautauqua is the integration of natural elements into the built environment. 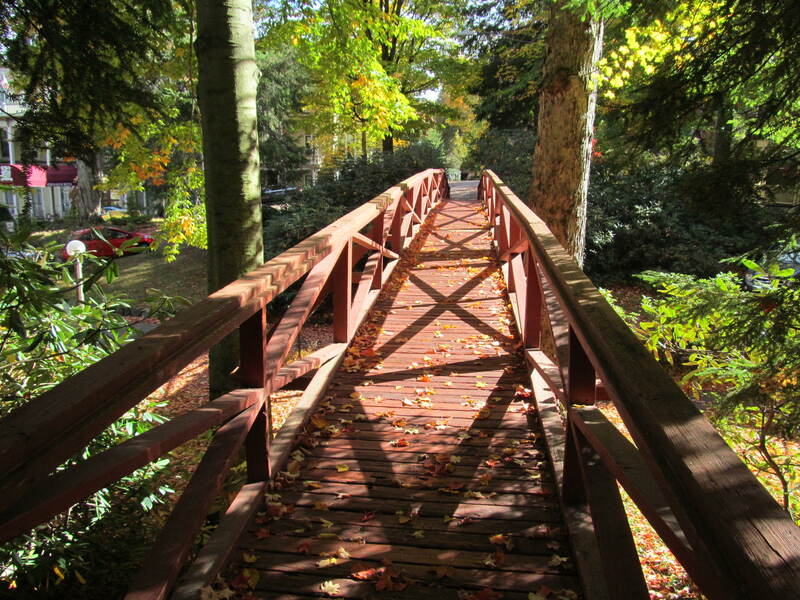 There are numerous aspects of nature that have been successfully woven into the village and take advantage of the overall location on the lake with its adjacent streams, rivers and valleys. Pedestrian bridges, walking paths and hills are well incorporated in and around the structures to create a certain prominence for some buildings and to allow the village users to traverse the community conveniently while creating a pleasurable experience. Clearly, the planners used nature to enhance the overall environment. Lessons from places like the Chautauqua Institution can assist to inform our decisions in our current day environments. This is not to imply that we are to remake the past, however many foundational aspects of our society can likely be enhanced if we remain open to incorporate time-tested elements into our current situation. As civic leaders and professionals strive to create more livable communities, we may consider the way that we built cities and towns in the past, and take note. Many of these traditional places enjoy an environment that we often long for, incorporating a higher quality of life experience that can and will ultimately emerge in where we live, work and play, if we forge a path with that as a goal.